Did you know the most hated pharmaceutical executive in America also owns professional League of Legends and Dota 2 teams? It’s true! Martin Shkreli, the CEO who instantly gained internet notoriety yesterday for jacking up the price of a drug used to treat cancer patients and people with AIDS by more than 5,000 percent, happens to be an eSports mogul. Small world! Shkreli first got into the MOBA eSports scene in May of this year when he scooped up a number of experienced League of Legends pros to form the Challenger Series team known as “Imagine.” Three months later, they acquired the North American Dota 2 team Leviathan. Given Shkreli’s latest move outside of video games, it’s worth mentioning that experienced eSports followers were already suspicious of his business ethics and acumen before he made a once-affordable drug cost between $336,000 and $634,500 a year for the people taking it. Jacob Wolf expressed doubts about Shkreli’s legitimacy when first writing about his initial League team acquisition for The Daily Dot, noting that he was entering the eSports scene “dogged by allegations of misconduct” from his previous stint as the CEO of Retrophin, another pharmaceutical company that’s currently suing Shkreli for $65 million. Shkreli, for his part, openly admitted that he didn’t have any experience in professional eSports when he got started with his newly minted League team. But he also made it clear that he was in it for the money, saying in a statement to the press that he wanted to “create a new leader in esports” that will “change the landscape of competitive gaming as we know it.” Buying a League of Legends team is certainly a smart move for a c-suite executive with millions of dollars to spare, considering its the most popular game in the already massive and still rapidly growing eSports industry. 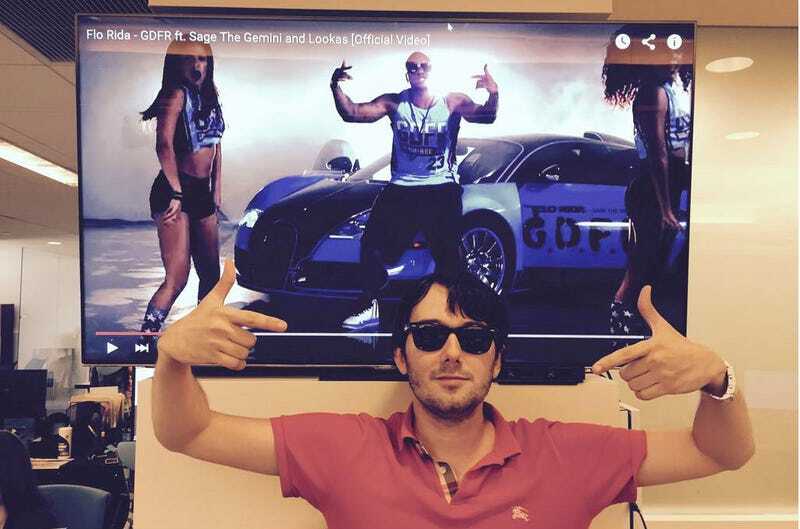 Business smarts aside, Shkreli’s behavior as CEO of Turing has been lambasted by countless critics. Turing recently bought the rights to Daraprim, which Gawker described yesterday as “a 62-year-old drug used to treat toxoplasmosis, a parasitic affliction that affects tens of millions in the U.S. alone.” It’s “particularly important for AIDS and cancer patients, whose weakened immune systems are ravaged by toxoplasmosis.” After buying Daraprim, Turing increased its price from $13.50 per tablet to $750 per tablet. Shkreli said the drug’s original price was “strangely inexpensive” when defending his company’s actions on Reddit yesterday.